Outside it’s bright and blustery. Inside, light falls through the window onto an almost life-size photograph of Elsemiek de Borst, looking over her shoulder at the camera, on a beach. She was 16 when the picture was taken; 17 when she said her last goodbye. On 17 July, 2014, Elsemiek left for Amsterdam’s Schipol airport with her younger brother, mother and stepfather. 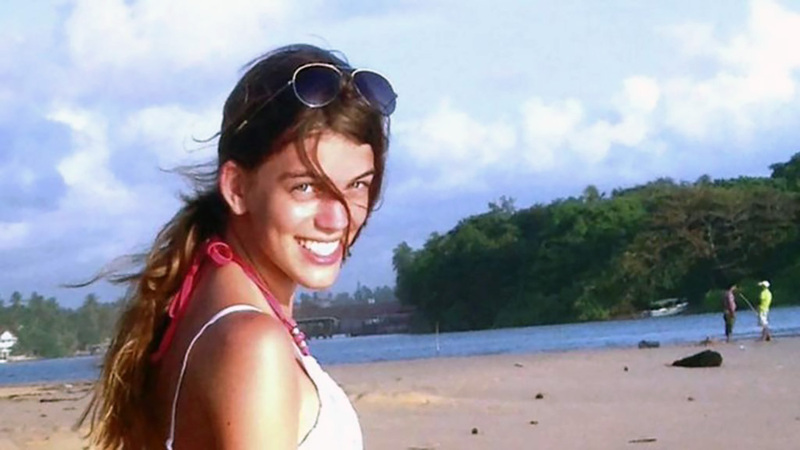 They were booked on Malaysia Airlines’ flight MH17 to Kuala Lumpur and she was excited. She hadn’t been to Malaysia before. The four of them took up half of row 40 near the back of the plane. Elsemiek had seat 40G. It wasn’t a window but she wouldn’t have seen it coming anyway. The missile that destroyed the plane would have closed on its target at roughly three times the speed of sound. There had been time for lunch over Poland and coffee over western Ukraine. It happened as they approached the Donbass, the tortured patch of farming and mining territory that Moscow is trying to prise from Kiev’s control. Nearly three hours into the flight a warhead built in Russia to shoot down spy planes and fighter jets detonated a few metres from the cockpit. The pilot and co-pilot died at once. According to a team of Australian pathologists hired by the Dutch government most passengers will have lost consciousness almost immediately as well, because of the explosive decompression of a fuselage torn open a mile higher than the top of Everest. That thought brings some solace to Elsemiek’s father, Hans. Even so, in clinical terms his daughter may still have been alive up to the moment of impact in a field outside the village of Hrabove in eastern Ukraine, a little after 4.20 pm local time. She wanted to be an engineer. But for that missile, she would have qualified by now. Last week the Dutch foreign minister said his government had started talks on MH17 with Russia and Australia. Good luck to them. The residue of an all-out Russian misinformation campaign has poisoned what little ground the three countries may find on which to start a dialogue. In the meantime the wait for clarity goes on, and a question lingers: why has the world been powerless to hold one country to account for such a crime? Part of the answer lies in the narrow focus of Washington’s interest in Russia. Congress imposed sanctions on Vladimir Putin’s inner circle after the MH17 disaster, but Donald Trump has barely mentioned it. Putin’s fight to get those sanctions lifted is an essential part of the context of his meddling in America. What does the Mueller report have to say on this? We don’t know yet, which is why we need to. In the meantime whole countries are in thrall to the Kremlin’s generalised disdain – for life, due process and facts. The old order, in which it was assumed rogue nations could be dragged into line by the community of nations, has broken down. Russia’s veto at the UN Security Council emasculates it. Russia’s rejection of every court claiming jurisdiction tests the idea of international justice to destruction. America looks powerless and everyone feels it. Everyone? Not quite. If the search for accountability has failed, the search for truth has not. It may be scant consolation that we’ve come to depend on hackers and the limited power of shame, but the truth of what happened to Elsemiek de Borst’s last flight is being revealed, data point by data point, by volunteers with laptops. And they’re being guided not by salaried securocrats but by an unassuming “admin guy” from his front room in Leicester. Who knew the surprise winner of the 2016 Premier League would come to lead the fight against disinformation? A few rows ahead of Elsemiek, next to each other in a window and an aisle, sat Liam Sweeney and John Alder. Liam’s father reckons they would have had a couple of pints each by the time the plane was hit. They were friends, but above all they were Newcastle United fans, en route to New Zealand to follow a pre-season tour. The older Sweeney is trim and garrulous. He is a regular at The Strawberry and The Companions, the great Newcastle United watering holes, but he keeps in shape by refereeing. Five years after losing Liam he’s still coming to terms with it; still talking gamely about his son to keep his memory alive; still waiting for an apology for his death. In an age of lies, this is surely true. The MH17 shootdown and its approaching fifth anniversary bracket a period of catastrophic loss of faith – faith in the motives, words and competence of leaders; faith in the veracity of anything purporting to be information. In these five years fighting disinformation has become a cottage industry, even though it is a failing one. Lies told in the West have divided whole countries against each other, but morally and for sheer gall they pale next to those told about MH17 by Russia. Ben Nimmo, of the Atlantic Council, has called this “the first time that the full power of the state was trained on the task of convincing the world to accept a false narrative of events despite a preponderance of evidence to the contrary”. There is no doubt that every state TV channel, loyal newspaper, fearful website and obedient functionary has helped in the national task of lying about MH17. But rather than promote a single alternative narrative they have promoted dozens of contradictory ones, to great effect. This is an old Soviet strategy of stonewalling and confusion-mongering, and it’s achieving its main goal – to change the subject. The media has moved on. The Dutch have resigned themselves to Russia’s refusal to cooperate, let alone extradite suspects. 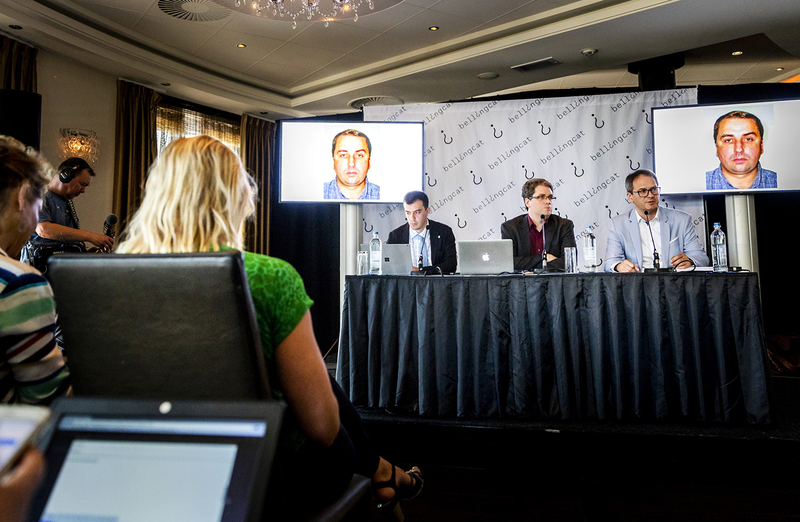 MH17 suspects will be tried in Amsterdam, starting perhaps this year, but in absentia. Europe as well as the US has imposed sanctions, but if their purpose was to sow dissent among the oligarchs they target, they have failed. And since taking office President Trump has evinced no concern, in public at least, that nearly 300 innocents were killed by a Russian missile over Russian-controlled Ukraine; nor that the one person who could provide closure for victims’ families and disclosure for Dutch prosecutors chooses to deny all knowledge. “What plane?” Putin asked repeatedly in response to questions about MH17 at a press conference last May. There was a good reason to ask that day. The Joint Investigation Team (JIT), based in The Hague, had just published a report four years in the making that held Russian forces responsible for the shootdown. Forget the 2016 election. For anyone seeking evidence of collusion between Trump and Russia it is there in plain view in the record. It remains to be seen how much attention if any was paid to MH17 and its after-effects by Robert Mueller, the special counsel. But Trump’s silence has not been ignored by the families. The trouble with this judgment, scalding as it is, is that Russia will continue to refute it because the extent of Putin’s direct personal knowledge of Buk missile deployments in eastern Ukraine in July 2014 isn’t known and may never be. But a lot is known. Within two days of the shootdown US intelligence agencies had traced the missile’s trajectory back to a launch site in pro-Russian rebel-held eastern Ukraine. Intercepted phone calls and radio transmissions indicated that whoever fired the missile knew within minutes they had made a terrible mistake: the intended target was a Ukrainian military transport plane thought to be bringing paratroopers to the area. The question then was whether the missile was fired by rebels from whom Russia could distance itself, or by its own personnel, whose presence in eastern Ukraine had been an open secret since the invasion of Crimea five months earlier. The first Russian troops into Crimea became known as Little Green Men for the colour of their new uniforms, shorn of insignia. The name stuck for those who arrived from the motherland to prop up the rebel republics of Donetsk and Luhansk. Did they fire the Buk, or were separatists trained to do it for them? The JIT has so far reserved judgment on this point, but it has confirmed findings by Eliot Higgins, of Bellingcat, the Leicester-based “citizen journalism” pioneer, on where the Buk battalion came from. It was part of the Russian army’s 53rd motorised air defence brigade, and it came from Kursk, 100 miles inside Russia. The most compelling evidence is the simplest: dozens of hours of dash cam and smartphone footage of the Buk convoy, uploaded onto social media by Russian and Ukrainian motorists as the missiles were driven from Kursk into rebel-held Luhansk. A full complement of missiles on one launcher crossed the international border on 25 June 2014. The same launcher re-entered Russia on18 July, the day after the shootdown, minus one missile. Metadata uploaded with the footage shows where and when it was taken. Serial numbers and other unique markings on both sides of the convoy vehicles mean they cannot be mistaken for similar equipment being used by Ukrainian forces, however much Moscow wishes they could be. “This wasn’t a secret war,” Higgins says. “It was just being ignored [by the outside world] until 17 July.” Russian troops have since been ordered to stop using social media and the once-porous border between rebel-held Ukraine and the rest of the country has been closed. No JIT investigators have been allowed to the crash site since 2014 and no western journalists since 2017. But the crucial evidence was already on the web. The JIT has a list of “persons of interest” thought to be between 50 and 100 names long. Bellingcat has identified several of the most senior among them. They include General Nikolai Tkachev, codename Delfin (Dolphin), a veteran of both Chechen wars in the 1990s who is believed to have supervised the movements of the Buk launcher in June and July of 2014; and Oleg Ivannikov, a senior officer of the GRU, the Russian military intelligence agency. He is thought to have been working as a senior advisor to the so-called Luhansk People’s Republic at the time of the shootdown. Bellingcat reported last year that he “coordinated and supervised the military activities of Russian militants, pro-Russian separatists and “private army” contingents from the Wagner Group – a mercenary operation linked to Putin’s inner circle and based near the southern Russian city of Krasnodar. The Wagner Group is also known to have sent fighters to Syria and the Central African Republic. Tkachev and Ivannikov – who has an unusually high voice – were identified with the help of digital analysis of communications intercepts by the US National Center for Media Forensics in Colorado. Geographically, Tkachev has been traced to a military academy in the Urals; Ivannikov to the GRU’s Moscow headquarters. Higgins says publication of a much more detailed map of the eastern Ukraine battlefield at the time of the shootdown, identifying more key players and their roles, is “imminent”. A key question remains: is it conceivable that Russian troops would deliver a Buk convoy to rebel territory and simply hand it over to local forces to fire? Higgins considers that “incredibly unlikely”, not least because specialist training for Buk units takes months. Is it possible that Russia will at some point bow to the weight of evidence of its involvement and admit it? That must be considered equally unlikely, at least as long as Putin is in power. There are lessons here from history. After a Soviet fighter shot down Korean Airlines’ flight 007 over Sakhalin Island in 1983, Russian non-cooperation became a fixed pillar of international relations despite the end of the Cold War. It was ten years before Boris Yeltsin’s government handed the plane’s black boxes to investigators in Paris. It took as long for Libya to surrender a suspect after the destruction of Pan Am 103 over Scotland in 1988. Putin is under no pressure from Washington to step away from his alternative reality, and it is one that appears to satisfy the vast majority of his domestic audience: just 2 per cent of Russians believe their countrymen brought down MH17, according to one 2016 poll. The rest blamed rebels or Ukrainians. If that suggests a nation in thrall to its own propaganda, we should expect nothing else after 20 years of it. Much of the MH17 disinformation seems amateurish – Russian sources have offered dozens of easily disproved stories to undermine the JIT’s account, including one about a Ukrainian Sukhoi fighter that wasn’t in the air on 17 July, and another based on crudely doctored satellite images purporting to show that the Buk battery was in fact Ukrainian. Russian intelligence even tried to frame a Kiev-based BBC reporter for the shootdown, uploading a faked conversation supposedly between him and the CIA. 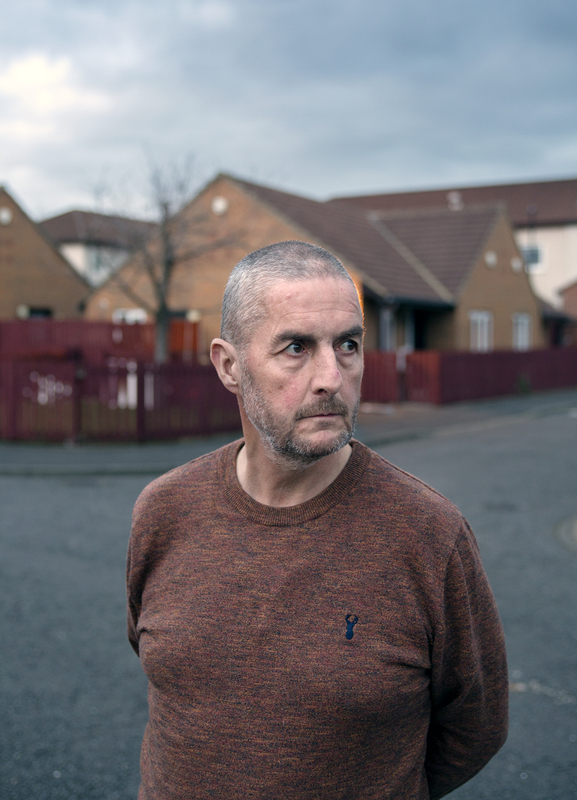 The fakers, omitting to check the reporter’s nationality, gave him a British accent. He was American. 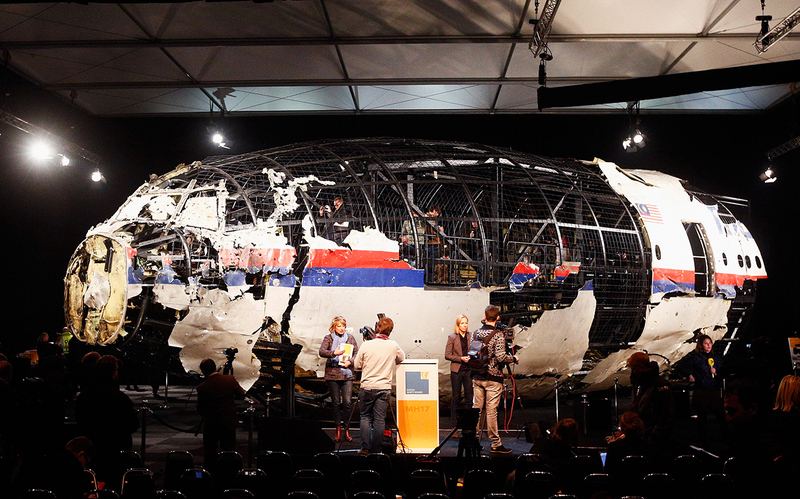 Despite everything, most of Putin’s subjects refuse to buy the truth about MH17. In the end few people want to believe their country shot a packed civilian airliner out of the sky, mistakenly or not. And for anyone feeling a twinge of sympathy for those in Hans de Borst’s position there are net trolls to discredit him by adding insult to his injury. He has received messages via Twitter accusing him of inventing the death of his daughter. De Borst enjoys skiing. There is another bench in Elsemiek’s memory high above the village where he used to ski with her in Austria. And he likes football; so much so that in 2015 he made plans to take the overnight ferry from Rotterdam to Newcastle to see a fixture at St James’ Park. He makes the trip at least once a year now, but that first visit was special. A tradition had sprung up among Newcastle’s fans to applaud for the 17th minute of every home game in Liam’s memory. It felt, as the two fathers sat there side by side, a taxi driver turned football ref and a former retail banker from The Hague, that the applause was for Elsemiek too. The 17th minute tradition has since faded, but not before a series of tributes to Liam from the greater football nation of Tyne and Wear (which is to say Sunderland as well as its arch-rival up the coast) that have made him one of the most celebrated fans in either club’s history. The Russian embassy in The Hague would rather forget all about MH17. It has volunteered no response to de Borst’s bench, or his empty chairs, even though 196 of the victims were Dutch. In the meantime the Russian government has used its Security Council veto to prevent any investigation of its actions by the UN. Calls to the embassy were redirected to a wrong number, so we paid it a visit. The ambassador was at lunch, so we left and returned to be told he was still at lunch. By chance, a press attache was returning on foot from an errand and consented to a conversation on the pavement. Her name was Angelica Kriger, and when De Borst told her who he was she was briefly lost for words. Then she said she was sorry for his loss, and seemed to mean it. Kriger said she would pass some questions to the ambassador. As we walked away de Borst seemed pleased. “It’s good,” he said. “We get 100 per cent more contact than up to now.” The questions have been submitted. As to the answers, nothing yet. By mid-April “if not sooner”, the US Congress should have copies of the 400-page report by Robert Mueller on alleged collusion between Russia and Trump’s 2016 campaign. The report needs to be published with minimal redaction so that everyone can read it, not just members of Congress. This is not because of the collusion question – in a narrow legalistic sense there was none. It is because of the deeper question of what Russia has done and been allowed to do to American democracy and discourse in an effort to lift sanctions imposed since MH17: to get away with murder. There is a direct line of causation from the shootdown (and the war that led to it, fomented in eastern Ukraine by the Kremlin) to sanctions; and from sanctions to Russian meddling in the 2016 race. Why did they hold out that prospect? Part of Mueller’s task was surely a close examination of the connective tissue between the tragedy of 2014 and American deference towards Russia five years on. 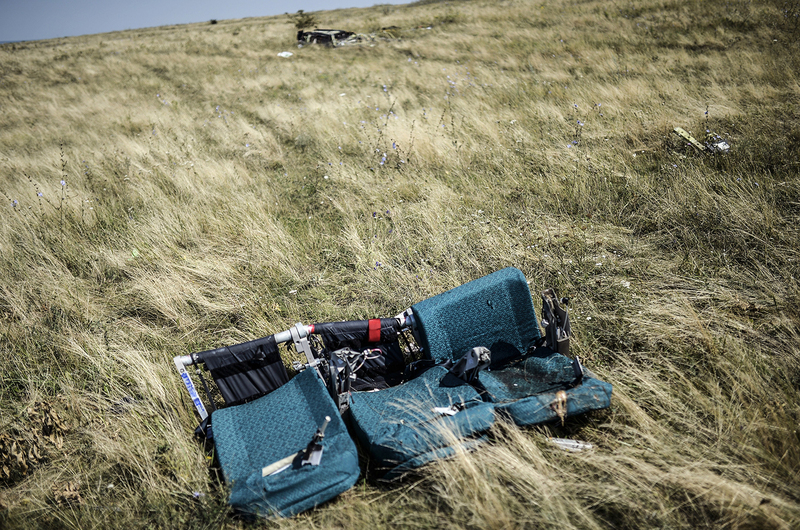 What did the US intelligence community and State Department know about MH17? What does Mueller say about it? If he is silent on it after 2,800 subpoenas, 500 witness interviews and 13 requests to foreign governments for evidence, then there is more investigation to be done. The Dutch Ministry of Justice and Security has made arrangements for a criminal trial in the case of MH17 at the Justice Complex Schipol, near Schipol airport. The trial could start this year. No suspects have been named and no date set but the public prosecutor’s office does not plan to wait for suspects to be extradited from Russia. They’ll be tried in absentia, says Wim de Bruin, a spokesman, and there is no time limit on the process. Separately, two cases have been submitted to the European Court of Human Rights by private law firms on behalf of victims’ families. The biggest is a lawsuit filed in June 2016 by the US aviation attorney Jerry Skinner, who won £1.69 billion in compensation for families of Pan Am flight 103 victims after suing the Libyan regime of Muammar Gaddafi in the 1990s. Skinner’s MH17 suit now represents relatives of all but 16 of the victims and seeks $10 million for each dead person. A second complaint to the ECHR was filed by the Amsterdam firm Beers Advocaten last November. It represents relatives of 55 victims and accuses Russia of withholding vital information since the JIT’s publication of evidence implicating the 53rd air defence brigade last year. If accepted, the case could take up to seven years to work its way through the court. 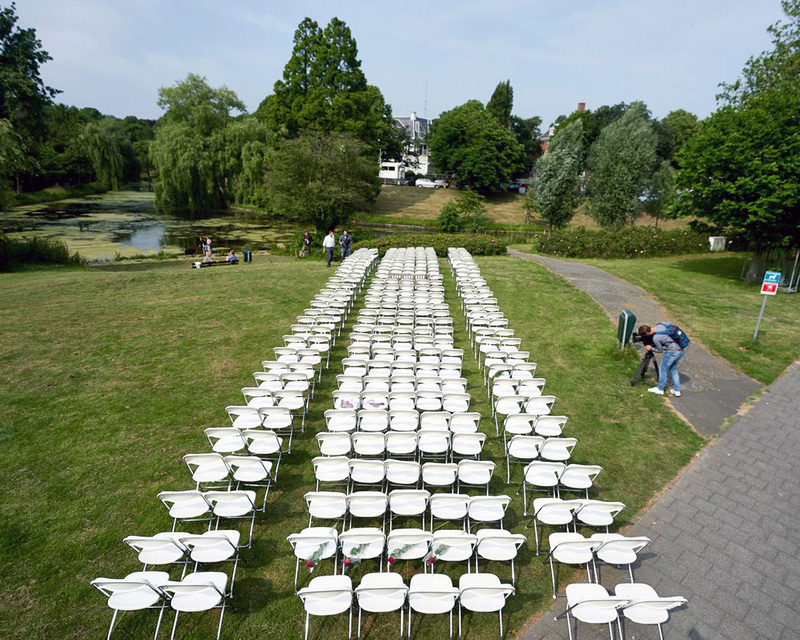 On 17 July, the fifth anniversary of the shootdown, victims’ families will gather at the MH17 memorial in Vijfhuizen Park near Schipol airport, where trees have been planted for each of the dead. Hans de Borst will be there to help read out their names – an annual observance that he says he will keep up “as long as I live”. Official announcements about the Dutch criminal investigation and forthcoming trial are made by the Joint Investigation Team on its updates page. The JIT has also published an online magazine about the case. Donations to the official association of victims’ families, Stichting Vliegramp MH17, can be made via their website. The Vijfhuizen Park monument maintains its own site where donations can be made towards the upkeep of the trees. Jerry Skinner has invited the remaining victims’ families to join his lawsuit. He can be contacted via LinkedIn but was forced to move out of his Cincinnati office in 2016 after his MH17 files were stolen from it – by, he believes, the SVR, Russia’s foreign intelligence service. 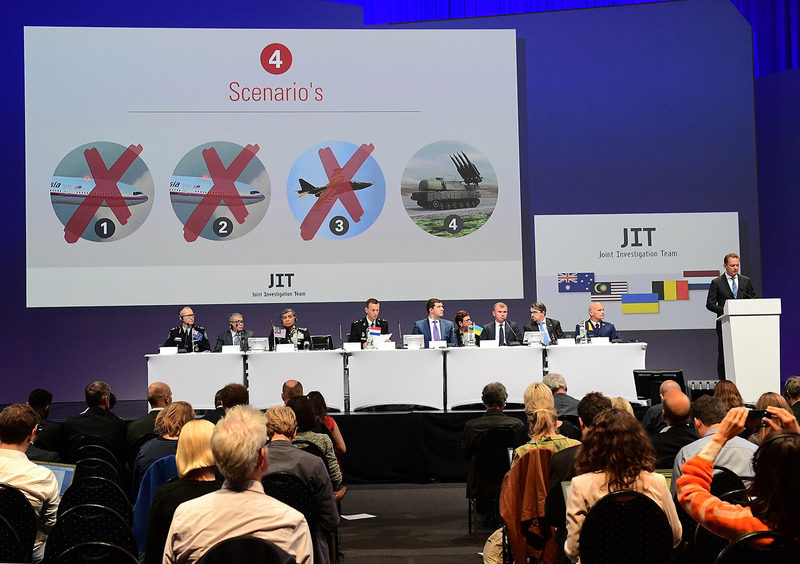 The JIT’s May 2018 press conference is worth viewing for its animation of the Buk’s journey from Kursk to Luhansk, which no amount of Russian disinformation has been able to debunk. 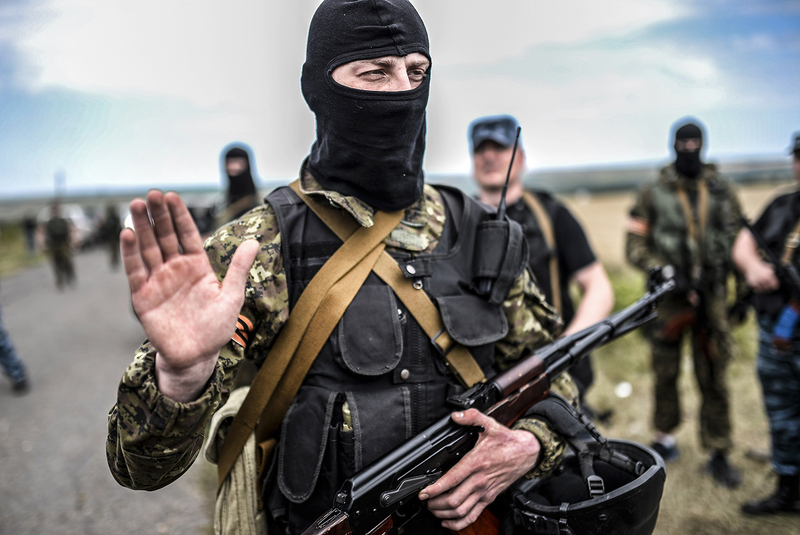 The Puppet-Master, Gabriel Gatehouse’s five-part podcast on Russian black ops in Ukraine since before MH17, is essential listening for anyone who doubts Moscow’s determination to destabilise Ukraine. 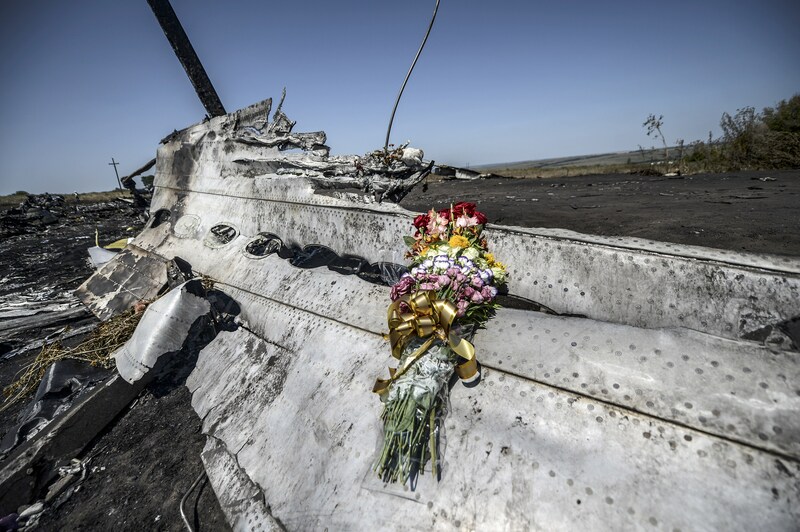 For a different take on the tragedy and its place in international relations, try Keev van der Pijl’s Flight MH17, Ukraine and the New Cold War: Prism of Disaster, which shows that disinformation can be hard to spot.